This PDF 1.7 document has been generated by CorelDRAW X7 / Corel PDF Engine Version 17.6.0.1021, and has been sent on pdf-archive.com on 02/03/2017 at 21:15, from IP address 174.116.x.x. The current document download page has been viewed 393 times. File size: 7.1 MB (60 pages). used alone or be combined with other products from both BCN Classics and BCN Cocktails. spots, hair loss, flaccidity, cellulite or stretch marks. Amino acids are natural products, versatile in behaviour and functions. These include the synthesis of new collagen or fibroblasts. keratin, as well as promoting wound-healing. Leu, Lys, Phe, Pro, Ser, Tau and Thr. increased flexibility and elasticity, more luminous and improved texture. Water accounts for about 60% of the human body and about a half of the remaining part consists of amino acids. to keep it hydrated. It is known that the skin contains more amino acids than any other tissue in the living body. • Guards against buildup of toxic substances. • Used as skin and hair conditioning agent. • Fills up wrinkles and provides skin with a smoother appearance. • Facilitates the Human Growth Hormone (HGH) release. • Promotes muscle recovery and ﬁ ghts ﬂ accidity. • Promotes skin and bones repair. • Assists with regulation of energy levels. • Assists in production of the Human Growth Hormone (HGH). • Promote the healing of bones, skin and repair of muscle tissue. • Facilitates the increase of muscle mass, while reducing body fat. • Encourages collagen production and increases elasticity. • Important in the functioning of RNA, DNA. • Rejuvenates cellular activity, cell formation and metabolism. • Helps in collagen formation as well as tissue repair. • Involved in melanin production. and skin are made up of 10-14% Cystine. • Protects the body from radiation damage. 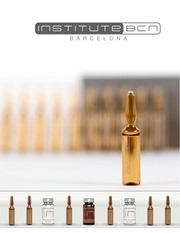 • Provides anti-aging effect, delaying the aging process. • Accelerates the recovery from burns and surgery. • Promotes the burning of fat and the building of muscle. • Assists in maintaining the proper acid/alkaline balance in the body. • Basis of the building blocks for RNA and DNA synthesis. • Required for RNA and DNA synthesis. • Repairs damaged tissues and promotes healing. • Needed for collagen production, reduces it loss through normal aging. • Strengthens muscles, keeps them ﬂ exible and so reduces sagging skin. • Crucial in formation of phospholipids and healthy cells. build and maintain all the muscles in the body. as well as tissue growth. tissues and for maintaining cell and membrane integrity. • Taurine deﬁ ciencies result increased risk to free radical damage. • Stimulates synthesis of the Human Growth Hormone (HGH). • Needed for growth and repair of tissue. • Protects the body from damage caused by radiation. • Maintains proper protein balance in the body. • Involved in collagen and elastin production. for those who do not wish to lose their full range of facial expression. new lines, directing its formulation to the heart of the very same wrinkleformation mechanism. code&quot; lines on the lips. the SNARE complex with argireline. way. It is a modified enkephalin that couples to the enkephalin receptor, outside of nerve cells. skin toning is the aim. • 4 weekly or biweekly sessions followed by monthly maintenance. • Argireline and DMAE must not be given together during the same session as each has opposite effect. • Alternate and use them every other week interchangeably. • Apply DMAE for the lower part of the face. medicine for centuries as a specific liver and gallbladder remedy. and as a natural aid to lower cholesterol. exercises a certain control on lipolysis, favouring the synthesis energy-transporting enzymes NAD-NADH2 and NADPNADPH2. It acts as diuretic and vasoconstrictor, stimulating the lymphatic drainage system. which they are subsequently excreted from the body. traditional uses to be hypoglycemic; however, no clinical studies have been published to conﬁrm this action. levels closely in anticipation of these possible effects. of great use to treat this condition. and appearance of the skin. (hair loss) and achromotrichia (absence or loss of pigment in the hair). correct and efficient fat production processes are critical for the health of all cells. growth. It helps against premature hair loss and graying. This file has been shared by a user of PDF Archive. Document ID: 00562969.